The Blue Ridge Parkway winds through 469 miles of beautiful forest and mountain terrain between Shenandoah National Park and the Great Smoky Mountains National Park. The scenery is outstanding and there are many recreational activities to do along the way; picnic area, hiking trails, camp grounds and visitor centers are just a few. 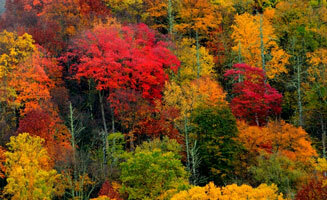 There are also restaurants and lodging along Blue Ridge Parkway. Blue Ridge Parkway is the nation's first and longest rural parkway. Construction started on the parkway in the 1930's as a depression-era public works project, and took over fifty years to complete. Connecting the Shenandoah National Park and The Smokies was a huge undertaking and many standards for engineering and design were pioneered during this feat. 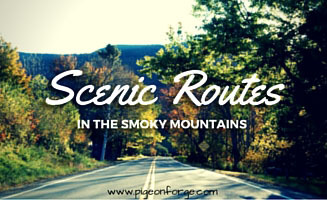 For many of Blue Ridge Parkway's visitors, the summer season is their favorite to enjoy the slow paced scenic drive. The summer blooms along the Parkway are beyond comparison. Meadows of black eyed susan, coreopsis, queen Anne's Lace and butterfly weed line the road. Being designed as a recreational roadway, the Blue Ridge Parkway not only has beautiful scenery, but the 469 miles, including campgrounds, picnic tables, and more, is an excellent to spend a summer day or longer! 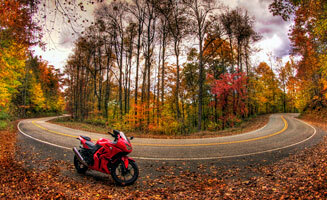 The Huffington Post recently wrote an article on the 10 Most Scenic Roads in the U.S. The Blue Ridge Parkway landed on the list at number 9. The Blue Ridge Parkway is the North Carolina side of the Smoky Moutnains and has some amazing views of the beautiful mountains. 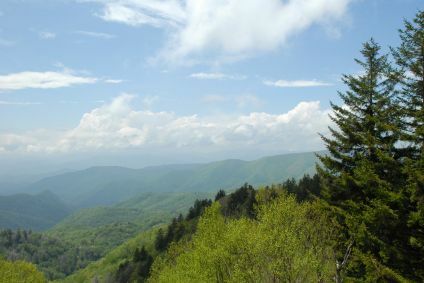 The Blue Ridge Parkway winds through 469 miles of beautiful forest and mountain terrain between Shenandoah National Park and the Great Smoky Mountains National Park. The scenery is outstanding and there are many recreational activities to do along the way; picnic area, hiking trails, camp grounds and visitor centers are just a few. There are also restaurants and lodging along Blue Ridge Parkway.